We asked people in Tucson what they love about their Arizona banks and community credit unions. From individuals to business owners to institutions, we found many folks who were happy to make the switch to local! Through the Community Banking Program, established to increase access to capital for local businesses, City of Tucson deposited $5 million into Alliance Bank. 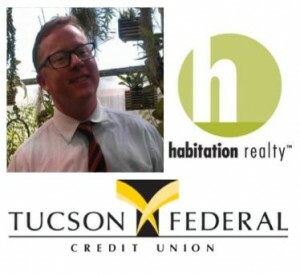 "I am proud that the City of Tucson has deposited substantial funds into a locally owned Alliance Bank, requiring those funds be lent to local business. We grow our economy by investing and shopping local, supporting our friends, neighbors, and all the residents of Tucson." - Jonathan Rothschild, Mayor of Tucson. Ready to make the switch? Take our pledge here for Community Banking Month. To learn more, come meet with representatives from Alliance, Vantage West and more on Thursday April 21st at our Community Banking Fair from 6-7pm at The Loft Cinema. Representatives will be on hand to answer questions you may have about how a local bank or community credit union can help you. The Community Banking Fair is free to attend. Afterwards, Local First Arizona founder Kimber Lanning will be introducing a special screening of The Big Short. Regular admission prices for the film apply and tickets can be purchased in advance here.